Melbourne Tap Dance founder and director Winston Morrrison tap dancing in Caiti Baker’s new music video. Rhythm Warriors video now available to public! Our 2016 Australian Tap Dance Festival show “Rhythm Warriors” is now available to purchase as 1080p High Definition video file (download or USB), 80 minutes performance edited from 3 camera angles featuring faculty members and dancers from around Australia. We’ll be tap dancing at St Kilda Festival again! Students from Melbourne Tap Dance showcasing tap dance in a free outdoor setting near the beach! This will be our fourth year performing at this event, it’s always nice to tap and then enjoy the atmosphere and live music at the rest of the festival. Come and join us! When: 4pm on Sunday 12th February. Melbourne Tap Dance opened the show with the Marching band, before going into their acapella routine. Sacred Heart Concert at the Palais Theatre, St Kilda. Melbourne Tap Dance members Winston Morrison and Kricket Forster were flown to Palmerston North, New Zealand to adjudicate a weekend of tap-dancing at the National Young Performer Awards, produced by PACANZ. Winston wearing dress shoes laying down a bit of rhythm before the theatre closed for the night! 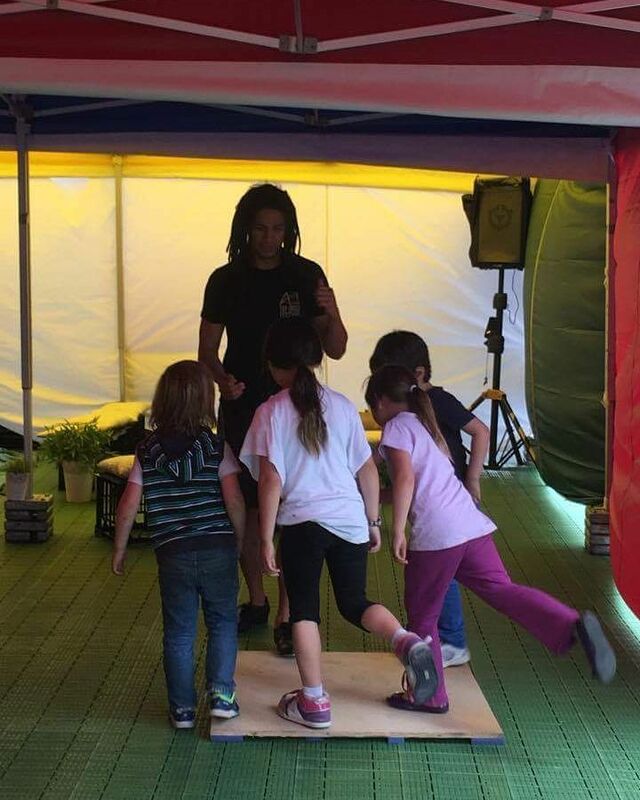 Winston Morrison teaching the kids to tap dance at Acland Street’s Spring Fling Festival (St.Kilda). 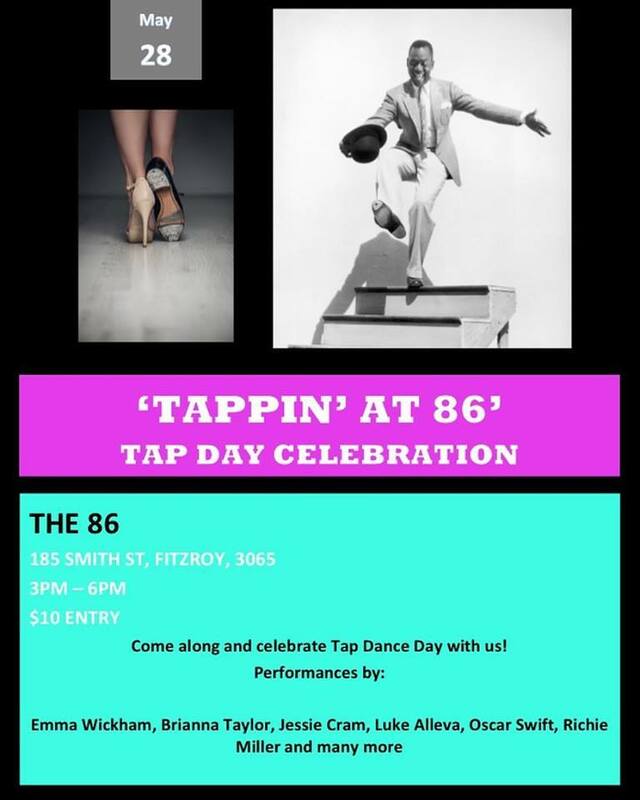 Australian Tap Dance Festival Show of the year – tickets on sale now! One very special night celebrating rhythm and music, the 5th annual Australian Tap Dance Festival Gala – ‘Rhythm Warriors’ ! On Saturday 1st October at 7pm, the highly anticipated event of the Australian Tap Dance Festival will present international and Australian tap dancers showcasing everything you love about tap dance and more. The event will push the boundaries of what percussive dance is thought to be and provide a refreshing night of music, rhythm and toe-tapping entertainment. Fighting the battle to bring amazing tap dance to the public world, you will witness our passionate artists, our warriors of rhythm, in a venue that allows the performances to be felt, seen and heard at a close distance. Enjoy the sight and sounds of some of Australia’s best tap dancers, Bessie Award Winner Michelle Dorrance (USA), special guests, and live music!